How do you identify yourself? Probably by telling your name or some other details like age, address, etc. What if you are asked to prove what these details? Probably it will make you rush to your wallet to fetch an ID like driving licence or social security card to prove validity of what you said. IDs have been doing the job of identity verification since long, except that they are now easily available to fake someone else’s identity. Now is the time when IDs are no more a mean of identity verification, they are a mere an identity claim. On the digital front, we have problems rising with passwords: the traditional mean of identification on electronic devices. They are increasingly becoming more and more complex yet insecure. These inadequacies of traditional identification methods have paved the way to more reliable identification method like biometrics. But do biometric identification methods have only bright side? In this article, we dig the advantages and disadvantages associated with biometric identification little deeper. Why do we need biometric identification at all? Because traditional ways of identification are failing to tackle modern challenges of efficiency, security, accuracy, etc. Government issued ID cards and documents like driving licence, passport, badges, etc. are have been traditionally used for identification and authentication. They leverage the concept of possessing something that no one else does, and which can help distinguish you from others. In digital space, this responsibility is born by passwords, PINs, security questions, etc. The idea is that you know something that is not easily knowable by others. There are also other methods that leverage technology, like smart cards, access cards, etc. However, the basic idea behind them is possessing are artefact to identify yourself. With the rise of information technology, computers required to identify its user to ensure information and account security. Human readable Identification methods like ID cards or documents offered no help when it came to user identification on information systems. This is where passwords come to rescue. Developed by Fernando J. Corbató, a prominent American computer scientist in 1960s, passwords have been doing the job of protecting IT systems and devices for more than 55 years. It is not surprising that inventor of the passwords ended up using a crib sheet to remember ever growing list of passwords, as he confessed in the interview later. What is driving growth of biometric identification? “Biometrics” and “Biometry” terms have been used since early in the 20th century to refer to the field of mathematical and statistical methods applicable to data analysis problems in the biological sciences. 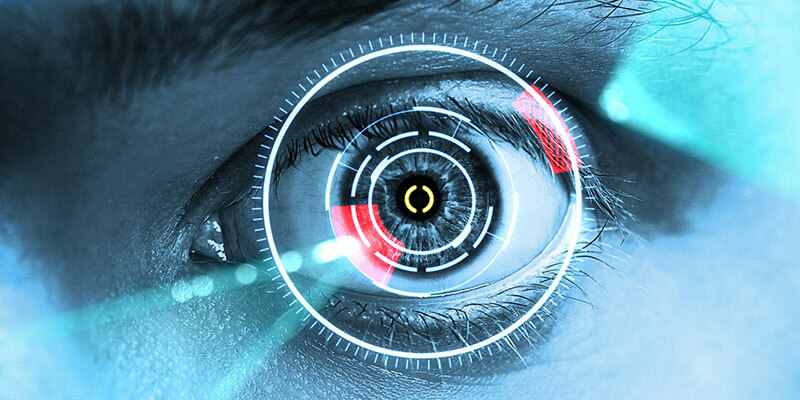 Recently the term Biometrics has also been used to refer to the emerging field of technology devoted to identification of individuals on the basis of their biological traits, such as those based on retina-scans, iris-patterns, fingerprints or face recognition. Many countries around the world have already started making efforts to establish biometric identity of their citizens. More and more private outfits are leveraging biometric identification for applications like employee attendance, door security and logical access. Manufacturers integrating biometric ability (e.g. fingerprint face and iris recognition) on mobile and computing devices. Since biometrics is making its way to more and more applications, it is good time to know that what are the advantages and disadvantages of biometric identification. The growing popularity of biometrics proves that it is filling the gaps of traditional identification methods. Instead of typing a PIN or swiping a pattern (which also includes struggle involved in failed attempts) I personally prefer to touch fingerprint sensor on their phone. Your hand gets so adjusted that you can scan your finger while picking your phone from the table or taking it out from the pocket, and by the time your eyes are on the screen, it is already unlock. One of the major shortcomings associated with traditional identification is that the process of identification or identity verification can be painfully slow. The time is long gone were showing a government issued IDs was enough proof of identity, now amid the rising numbers of identity fraud and counterfeited IDs, they are no more reliable. Biometric identification fixes the problem by hitting the core of it. It completely eliminates the need of carrying an external artefact to prove your identity. It leverages unique characteristics that makes you, “you”. Some biometric characteristics are pretty visible or observable, like face, gait, etc. while others can be so tiny of hidden that differences cannot be figured out with mere observation. In both the cases however, special setup is required to establish or verify the identity of a subject. Post 2007, the world has seen rapid growth in mobile biometrics applications and hardware. Each year, manufacturers launch new and innovative ways for identity authentication on mobile devices and service providers come up with services integrated with mobile biometrics hardware. It has presented an opportunity to address the challenges faced during identify verification on the go. In many field applications like law enforcement, officers face a practical problem of identity verification of subjects as they do not have access to the office resources. Biometric identification for mobile devices has made it possible to capture biometric identifiers like face, fingerprints, iris scan on-the-go, cutting down the identity verification time dramatically and patching the loopholes of traditional IDs. Convenience is another advantage with biometric identification. We have discussed above that identification with IDs or passwords can be a nerve-wrecking experience. Digging the government database or awaiting response of a government agency for identity verification can be painfully slow process. That is not all; user identification with passwords and PINs is no less than a memory challenge these days. All those out-of-dictionary phrases with numbers and special characters are set to escape your mind if you do not cram them like a multiplication table. 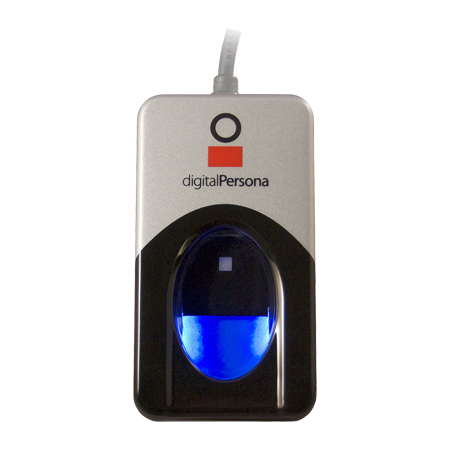 Biometric identification eliminates all hassles associated with IDs, passwords and other possession or knowledge based identification methods, making identification a truly convenient experience. 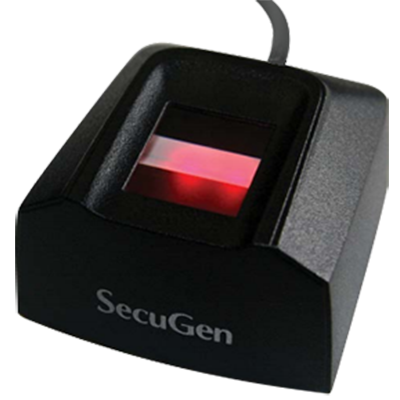 Accessing a biometrically secured logical or physical facility requires the presence of an authorized individual following a biometric scan. This generates reliable and auditable logs of accessing the facility. Users cannot deny these logs as they are a proof of wilful access. It improves the user accountability. IDs and other printed identity documents can be counterfeited; passwords or PINs can be guessed, stolen or hacked, but biometric identifiers can neither be counterfeited nor be stolen. Some security researchers have shown that fingerprints or facial recognition systems can be hacked with spoofs, however, newer systems are equipped with more advanced spoofing-proof technology that does not accept anything less than a live biometric identifier, making biometrics securer than other identification methods. All technology based systems have their limitations and biometrics is not an exception. Biometric identification offers loads of benefits, however, the disadvantages should also be kept in mind when taking biometric identification into account. Biometric characteristics are permanent and this fact is one of the founding stones of biometric identification. Ironically, it also becomes the most dreadful disadvantage if biometric identifiers are stolen. Unlike PINs or passwords, that can be changed if compromised, biometric identifiers of a person cannot be changed if stolen. Unfortunately biometric identifiers like face, gait, heat map, etc. are already exposed and can be stolen without the subject’s knowledge. In biometric identification, prevention is the cure. Improving the technology to the point where stolen biometric deniers will be of no use, can be the remedy of this disadvantage. There are many factors that can affect performance of a biometric system, e.g. environmental factors, user behavior, badly maintained system, etc. The technology used may also have some limitations. Performance metrics of biometric system are taken into account before releasing biometric identification products. However, they may still offer less than expected performance due to several other factors depending on user behavior, environment, etc. Population coverage is another challenge in front of biometric identification. Biometric recognition technology is yet to reach the point where it can be called a universal method of identification. When you deploy a biometric solution (e.g. 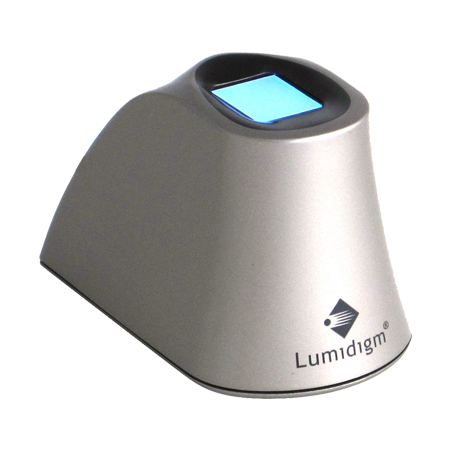 fingerprint recognition), there is no guarantee that all subject in target population will have minimum quantity and quality of biometric identifiers. Physical labour, diseases, accidents may cause biometric identifiers to deteriorate, which can cause a biometric system to fail to enroll or identify a subject. Despite being cheaper than ever, biometric systems can still be expensive to implement for the specific use cases or smaller outfits. Owing to this fact, biometric system may not best the best idea for applications where number of people to identify is very less and can be managed with manual methods. Regular maintenance of biometric systems is also important to ensure optimum performance, however, it also incur additional cost. While most part of deployment and implementation of a biometric system is taken care by its vendor, biometric systems may require the administrator to have a certain level of tech-friendliness to use, maintain and perform day-to-day back-end operations. Some organizations may not be comfortable with that part and may find biometric systems too complex for them. The advantages and disadvantages discussed above represent the biometric identification in general. However, some advantages and disadvantages can be specific to the modality of biometric identification chosen. As it is the case with most technology powered systems, biometric identification has its own set of advantages and disadvantages. However, it always depends on a particular use case that it will be more advantageous or disadvantageous if deployed. 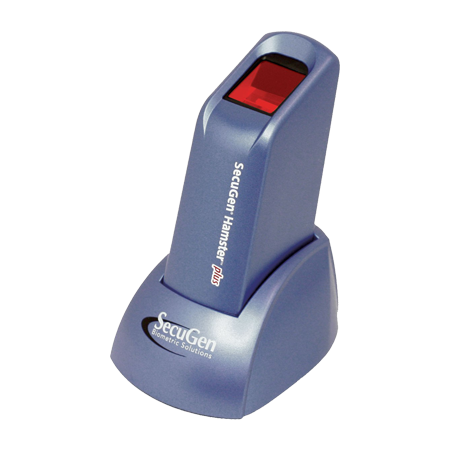 In most cases, using biometric identification has proved to be more beneficial in long run. As more and more biometric systems are deployed, they are expected to become even cheaper with increased production and economy of scale. And with advancements in technology and security, many disadvantages of biometric systems are expected to cease to exist.